﻿When it comes to snowboarding exercises, CoolBoard is the free motion balance board that will hone your board skills like nothing else. Uniquely able to move foot to foot and toe to heel for that essential rail to rail control, CoolBoard balance board gives you the confidence you need to hit the slopes at speed. Forget roller and spin based decks – CoolBoard is the real deal. Carves, switch, grabs, 360s and the balance for rails grinds can all be practiced at home. With CoolBoard’s specific snowboarding exercises you can train those muscles that often get ignored for the rest of the year so you can maximise your snowboard time. CoolBoard is the most effective and fun way to prepare your body before your snowboard trip – and you can do it from the comfort of your home, gym or office. Recommended by the Times Ski and Fitness Experts! The world’s only true 360° balance board, and the best for Snowboarders because it’s able to move foot to foot and toe to heel. 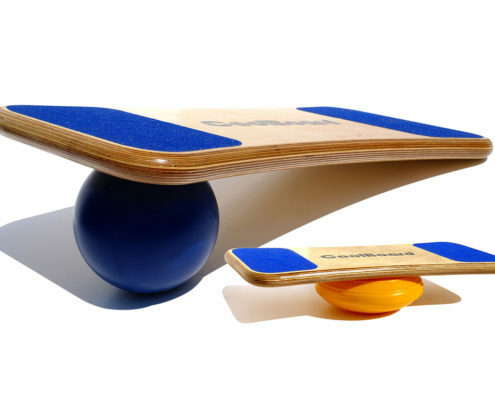 the coolboard has made a massive difference in terms of balance and poise on the board. I was using the board several times each day before we went and within 2-3 hours back on the mountain I was back in the flow…. Your snowboard constantly moves under your feet while your balance and strength are always working – very similar to being on a CoolBoard. So all those muscles and control can be honed before you hit the slopes. 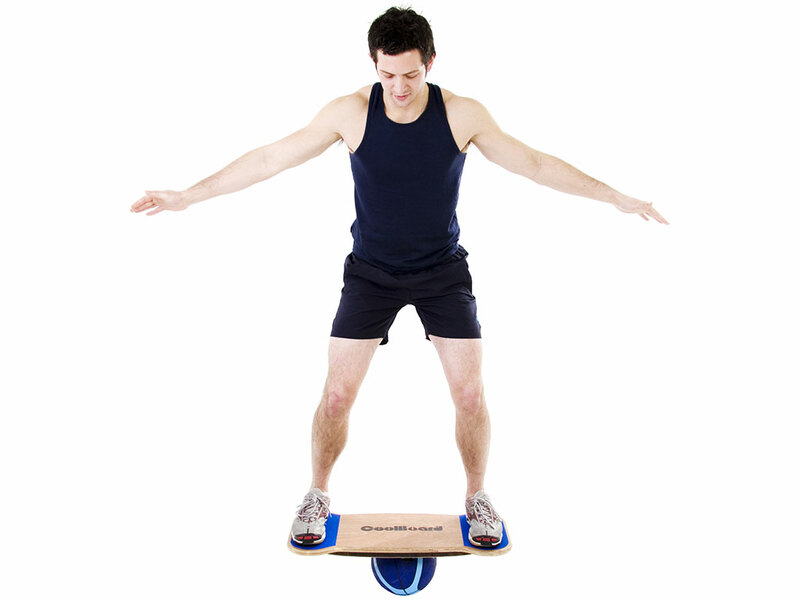 The ball rotates under the ‘floating’ board creating unique natural instability, making muscles perform more subconscious actions without overloading them. The patented design accelerates the impact of snowboarding exercises unlike any other similar product. The multi-directional movement maximizes the benefits, simultaneously improving your balance, joint strength and muscle strength all boosting your confidence. Lunges, calf raises, squats and many more become far more effective while also being much better conditioning for the functional movements needed when snowboarding. Enter CoolBoard in all its glory . . . 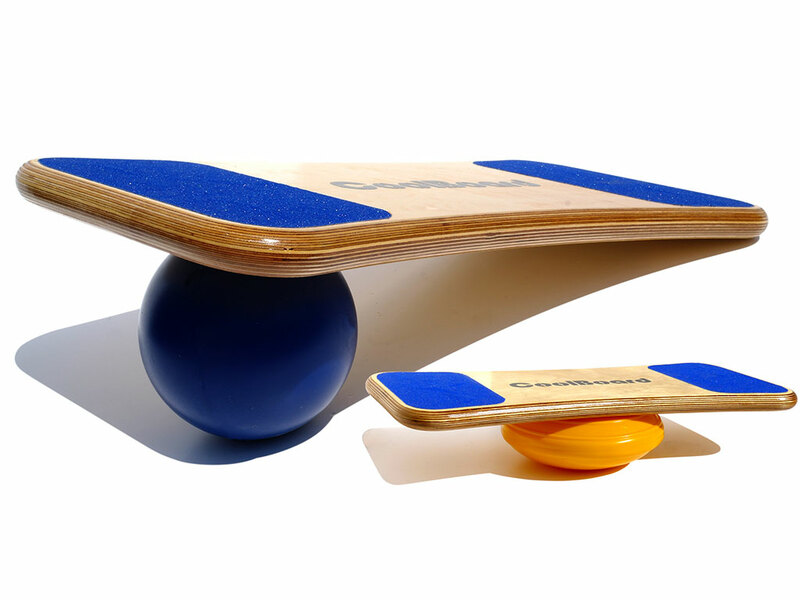 The new weapon in fun functional fitness and board sports. Times on Line assembled a panel of ski and fitness experts and asked them to test CoolBoard alongside other ski and snowboard fitness products from £10 to over £1000… and came out recommending CoolBoard! The ski and fitness experts could instantly feel CoolBoard working all the right muscles for skiers and snowboarders, especially the all important but often overlooked joint stabilising muscles and the core. They also saw that the movement is perfect for snowboarders wanting better board control. So if you want an easy head start – get balancing… and you’re serious about getting ski fit, follow our CoolBoard Ski and Snowboard Workout Plan as well. Snowboarding constantly loads your body eccentrically (off-balance), which you need to be prepared for. Research has shown that a weak core and/or joint stabilising structures are major contributions to ski related injuries – having a bulging quad doesn’t necessarily mean you can control it! Snowboarding exercises on CoolBoard prepare your body and target all the structures that enable you to hold correct form – core strength, joint stabilisation, balance and proprioception – meaning you’ll be less likely to suffer an injury.